VistaSwitcher is an advanced task management utility for Windows XP, Vista and 7. It shows a full-sized preview of each task window and the easy-to-read list of all tasks running with clearly shown titles so you can find the one you need virtually in a second. VistaSwitcher runs only on Windows XP, Vista and 7. 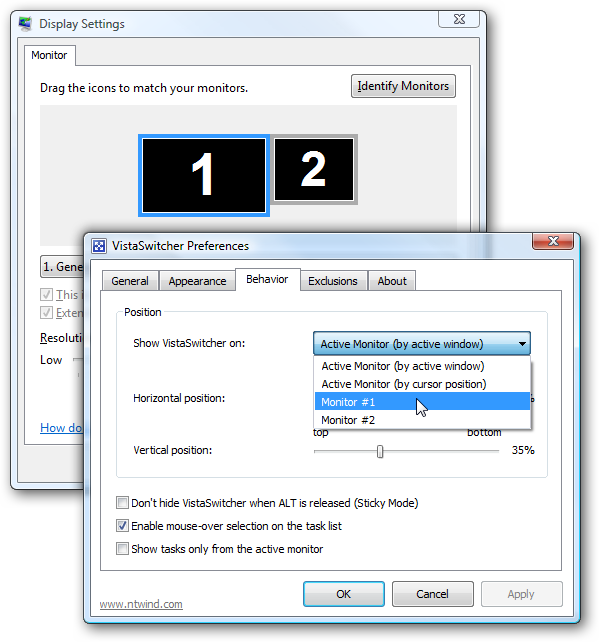 The last version of VistaSwitcher 1.1.5 was released on May 12, 2012. There are no plans to update it, please use Alt-Tab Terminator on newer OS.